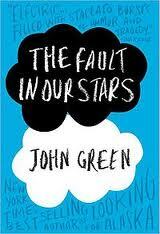 John Green’s New York Times #1 best-selling novel, dubbed by Time Magazine as “damn near perfect,” comments on life through one ailing and insightful Hazel Grace Lancaster; cancer survivor (or rather, cancer sustainer). At age sixteen, Hazel lives steadily with her terminal illness through lilting literature, introspection, America’s Next Top Model, and Cancer Kid Support Group. That is, until she meets Augustus Waters, the vibrant and strikingly handsome new member of her Support Group. The novel follows the two teenagers through wishing and acceptance, Indianapolis and Amsterdam, uncertainty and fortitude, and yes – love and loss. Green’s raw and irreverent descriptions jump from hilarious and engaging character quips to tragic and pure moments of suffering to insightful speculation on human strength and endurance. His style is seamless and beautifully genuine. This divergence from typical cancer narrations is exactly what such strikingly realistic characters require; their relationship is not romanticized or idealized, their lives are complicated, gritty, and awkward – and all the more compelling for it. Hazel and Augustus’ words leave the reader blinking at the light of a new perspective, and maybe even blinking back a few tears.